When you say "Good Morning, how are you?" as you pass someone in the hall. Automatically, we say, "Good and you?" right? Not expecting an answer because, well, that's just how it it. I don't really think we want to know anyway. I'm not that thrilled today. Every single day I struggle to make some sunshine in my life. I can wake up pissed off or thrilled. 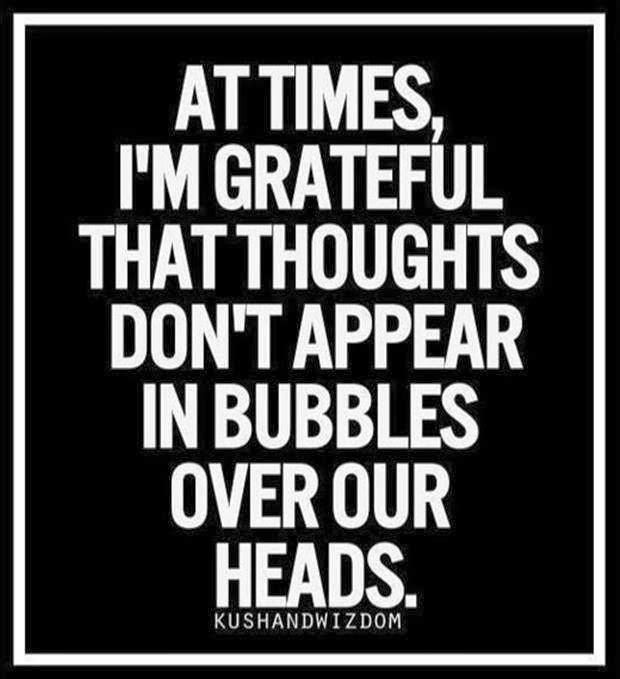 I just thank God that what is in my head stays there. That I don't say it out loud because I have feeling people would confirm the question in their heads. "Oh yeah. She's a bit of a freak." We all feel this way, right? I just get down but then I pick myself up again. Or I snap at the hubby. Or I take a bath. Or I do all those things in the span of one night. So I don't say everything I feel out loud. It's not all rosy and perfect all of the time. Uh huh...check with me tomorrow. Maybe the funk-itis will be gone. I always think its so pointless to ask, "Hey, how's it going?" (or some version of that) as you're passing people. because you're right, we really don't care to know. I do it out of habit. Loving this, again! Glad I am not the only one that doesn't live in a world of only sunshine and roses.